Discussion in 'Pin Trading' started by krand1276, Jul 6, 2018. I pushed the pins into a poster board to see them better. Have nearly all of the northeast, but am missing the Great Plains states and parts of the West. I have extras of WY/CO, OK, and NE/KS. 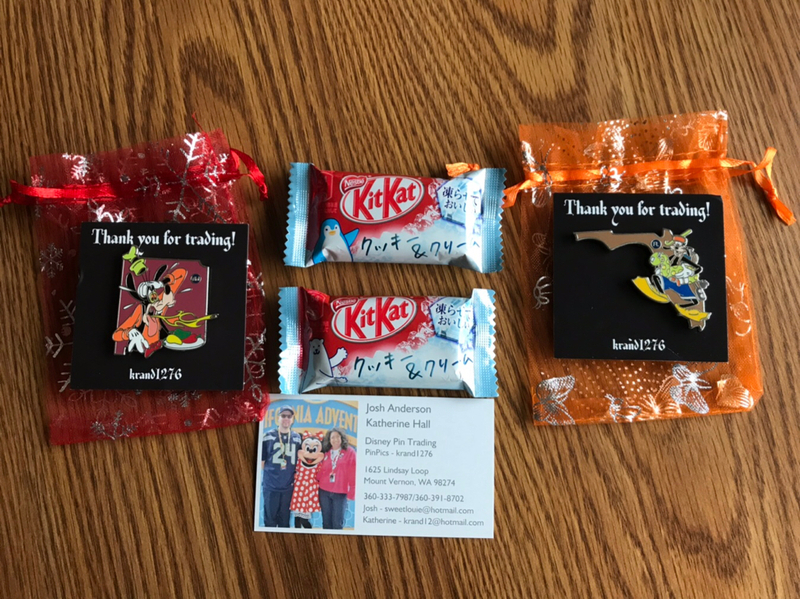 Found Mystery boxes available at DCA, Katz. @ pins4twin Yes, I have both Florida and New Mexico if you still need them. Yes, I still need FL and NM, but I don’t have any for trade. I will check pinpics to see what I can offer. FYI - I saw boxes for sale in main Pin store in Hollywood Studios (WDW) on January 1st. Can anyone help me finish this collection? 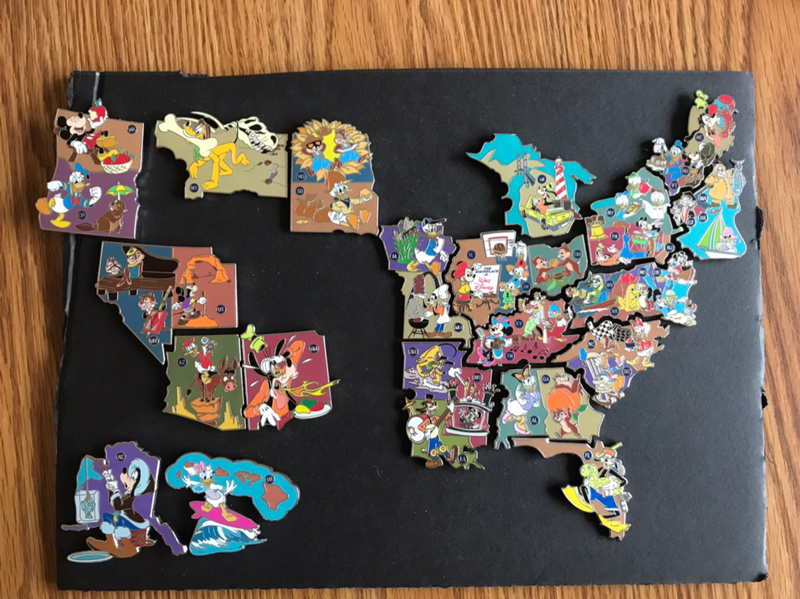 I need west coast pins! i have both Kentucky/Tennessee and Alabama/Georgia. We need Montana and ND/SD. Would you be willing to trade? I have NE/KS, AZ, and MN/WI. I am looking for Alaska! Sounds good. I am new to the group....please excuse the question...where are you sending the PM...is there a separate PM for this group? A Private message or “PM” would appear in ones in box. The PM was sent to Annuhski in this case as a message to them about a potential trade. FYI - Saw State's Mystery Boxes for Sale in Animal Kingdom on Wednesday (1/30). Can anyone help with a trade? FYI - saw boxes today in MK at the Trading Post. There are boxes at AK today as well.